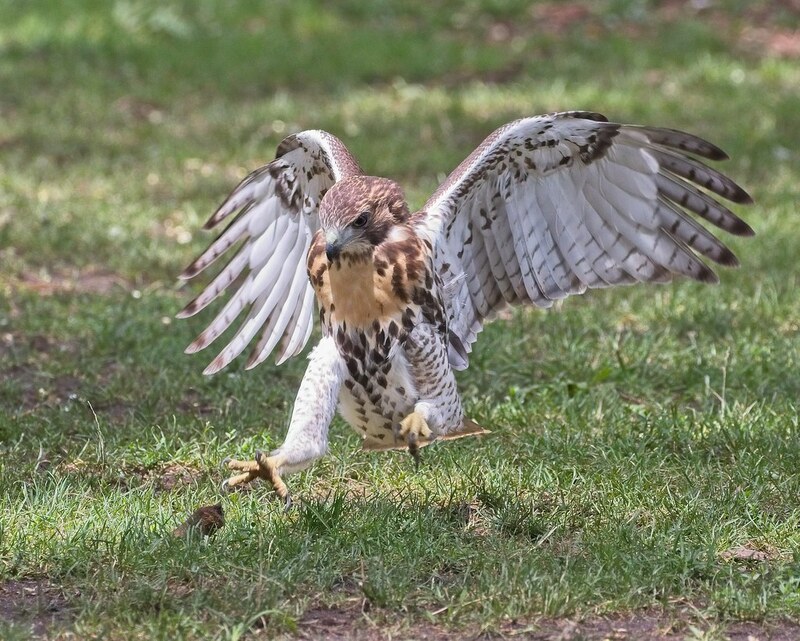 The younger of the two Tompkins Square red-tailed hawk fledglings continues to be the little adventurer. 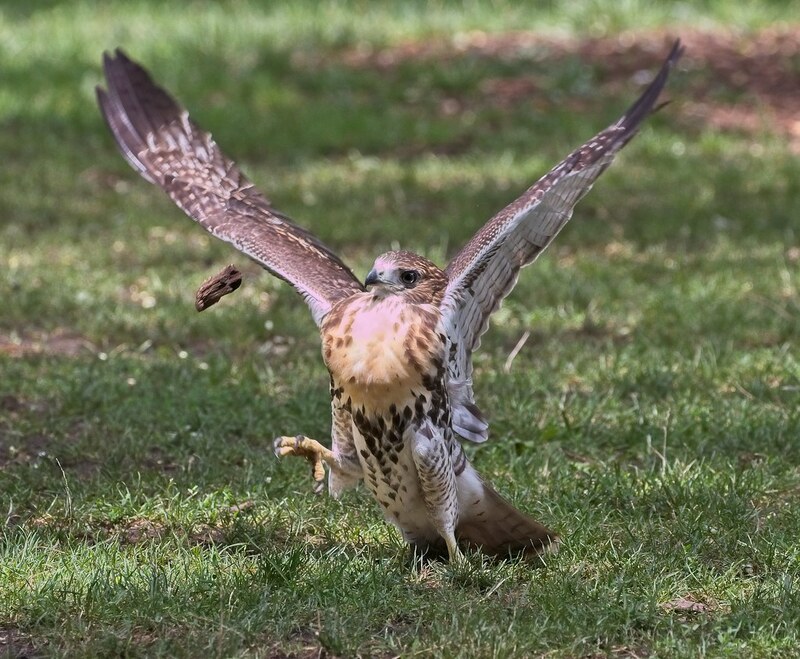 After catching a mouse on Sunday, the fledgling spent a lot of time on Monday flying around the park and playing on the ground. 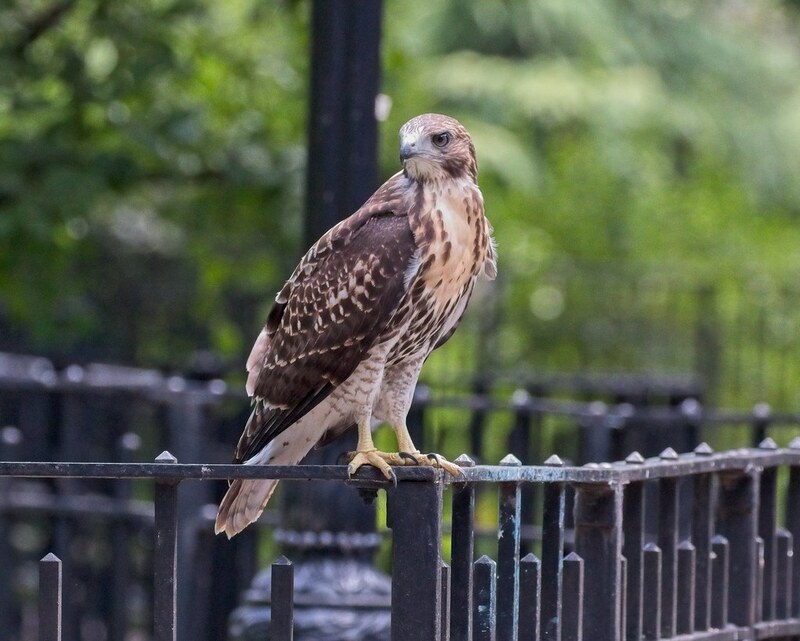 The fences in the park make good hawk perches, as well as protecting planted areas from people and dogs. 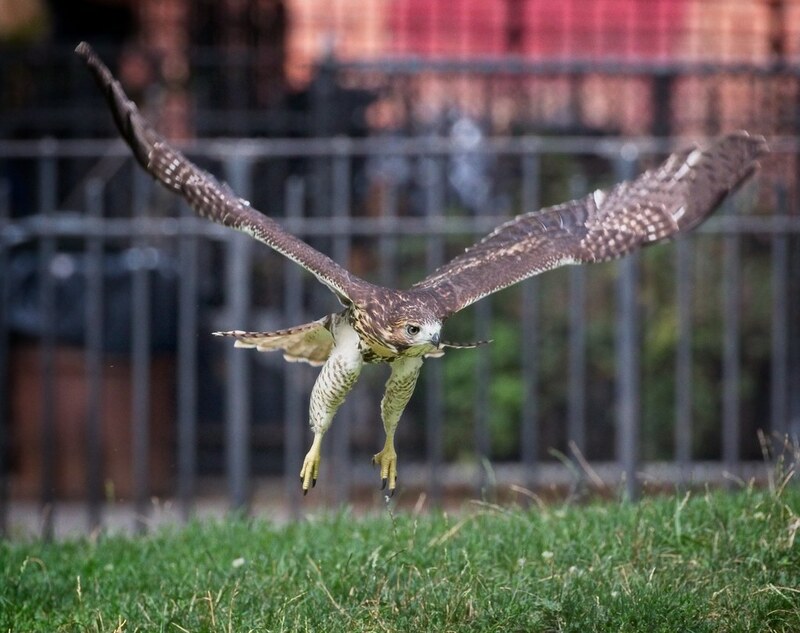 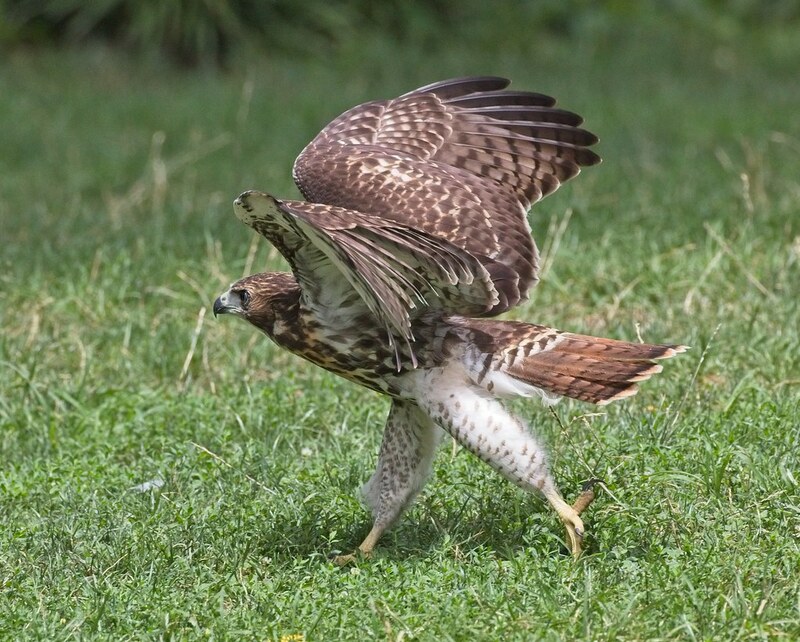 As the gates to the main lawn were locked, the hawk had the whole area to safely use as a playground. 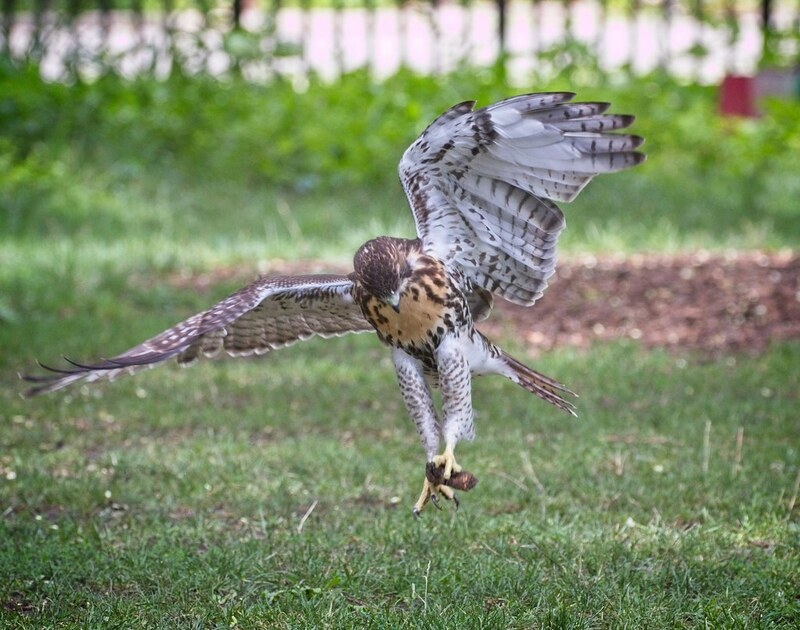 Pieces of wood and bark are favorite toys for the hawk, who tossed them up in the air and practiced pouncing on them. 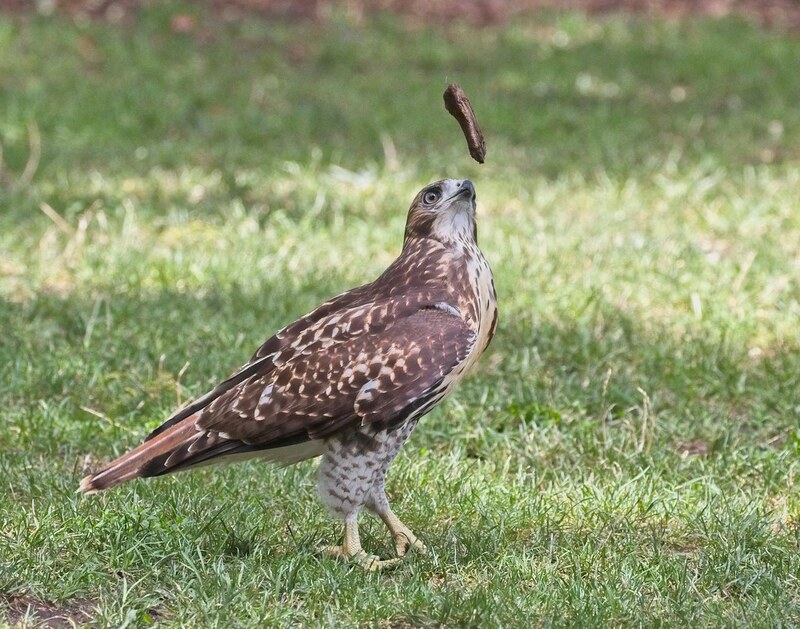 This play-hunting activity is important for learning to catch prey. 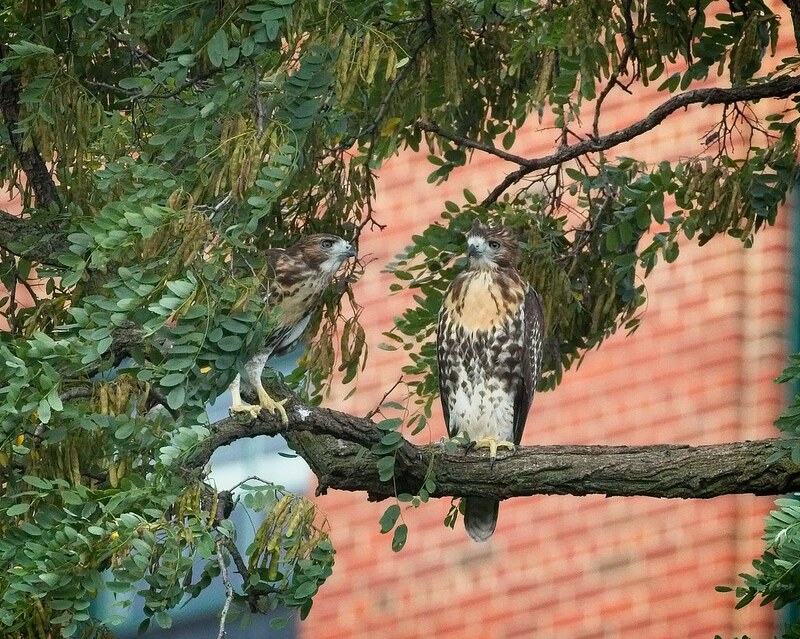 After spending the afternoon having fun, the fledgling returned to the hawk family's favorite locust tree on the east side of the park where its sibling (below, right) perched. 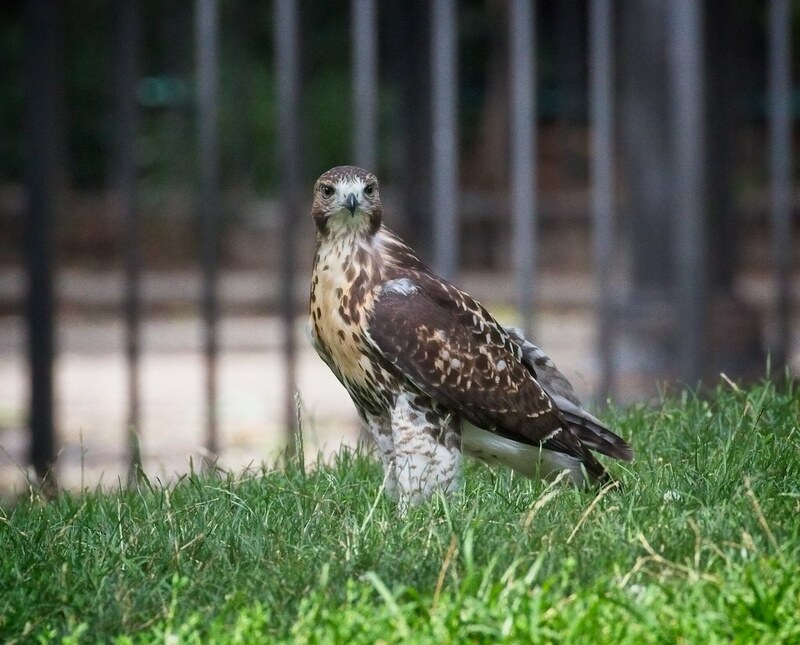 The older fledgling has yet to venture out of the area surrounding the nest tree, so I like to think the younger one told it all about the exciting world beyond the dog run.